A reader-friendly guide to the inner workings and behind-the-scenes action of Silicon Valley and venture capitalism. 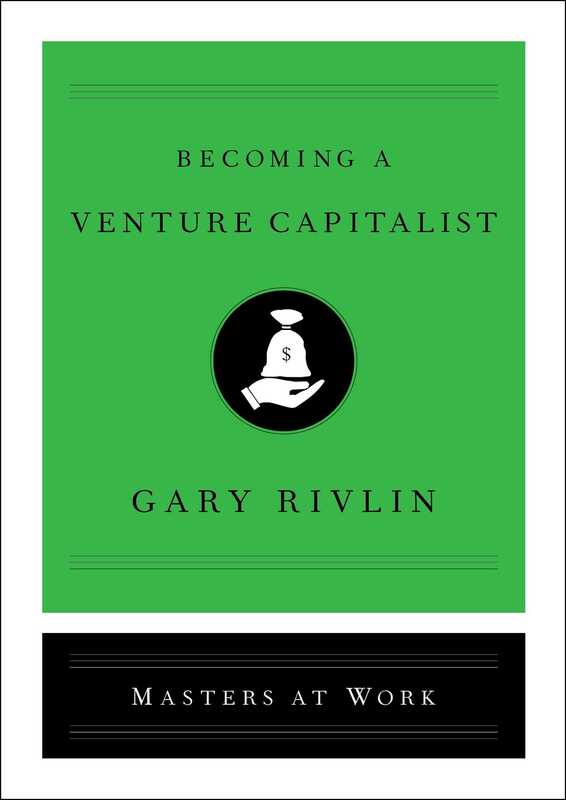 Investigative reporter Gary Rivlin gives an armchair tour of the world of venture capitalism, while providing vivid case studies illustrating how to get started in the field. He shows how once-small companies such as Facebook, Instagram, and Amazon used venture capitalism to transform into the icons they are today, and the VCs that made a fortune in the process. Readers will learn what series funding is, the difference between an angel and super angel investor, and how to go about identifying ideas worthy of funding. Becoming a Venture Capitalist is not only an exclusive look into the world of legendary venture firms—as well as stories of their most interesting characters, including Peter Thiel, Reid Hoffman, and Mark Zuckerberg—but a wonderful guide on how to break into a seemingly impenetrable world. The ground rules of this interview dictate that I can’t name the entrepreneur or his start-up. But there’s no stopping me from describing the man as an odd duck. I’ve sat in on my share of pitch meetings over the years. I’ve witnessed awkward mumblers who can’t make eye contact. In the late 1990s, at the peak of the dot-com madness, I tried not to visibly roll my eyes over the hubris of the MBAs descending on Silicon Valley with their charts and projections but not much else beyond a smooth, practiced delivery and the promise of “ubiquity” for whatever they were selling. But never had I come across an entrepreneur as buttoned-down bland as this one. His background was an interesting one that included a stint on Wall Street. He was older than the typical founder. Yet he didn’t seem to have the personality to lead a growing tech start-up. The CEO claims that he isn’t at Greylock looking for money. “We’re not in fund-raising mode,” he says to me as we’re introducing ourselves to each other. As the founder tells it, he’s just one old colleague asking another for friendly advice as he preps himself to raise a large slug of money. The CEO takes a seat across a conference table from Elman and plugs in his laptop loaded with a multi-slide presentation that he thinks is worth at least $50 million. To his right sits a top executive from his company: a wiry man with a shaved head, a deep résumé, and an intensity that suggests he would crash through a wall if that’s what it would take to win. “We literally were making changes in the car a few minutes ago,” the CEO tells Elman. He’s aiming for nonchalance, but it comes off as an obvious ploy to lower the stakes on a high-stakes meeting. He has no doubt been sweating this meeting—and every slide—for weeks. Greylock is one of the country’s oldest venture firms and among the most highly regarded. It might be overstating things some to say that pitching Greylock (as a Newsweek contributor wrote in 2014) “is a bit like being a rookie pitcher stepping onto the mound at Yankee Stadium—with Babe Ruth walking up to the plate.” But there was no doubting the firm’s supremacy. I would speak to more than two dozen industry people for this book. Almost to a person, they listed Greylock as a top-five venture firm, if not top three. Greylock had been an early investor in both LinkedIn and Facebook, when $27.5 million bought nearly 6 percent of a company today worth more than $500 billion; and also the music-streaming service Pandora, which was worth $2.6 billion at the end of its first day as a publicly traded stock in 2011. Greylock Partners had also invested in Instagram, the thirteen-person start-up that Facebook bought for $1 billion in 2012; Tumblr, the microblogging company that Yahoo purchased for $1.1 billion in 2013; Zipcar, which Avis paid $500 million for that same year; Dropbox (a digital storage service), valued at $12.7 billion when it went public in 2018; and also Medium (an online publisher) and Airbnb. Greylock had the economic means to provide the CEO with the money he needed to build out his idea and also the connections of Elman and his partners, along with the services of the eight full-time recruiters who work for Greylock and its in-house communications team if a start-up team needs help with its messaging. (A lot of the big firms provide these kinds of ancillary services, to increase the chances that the portfolio companies they fund are winners.) Quite simply, Elman could make his company. This is not the CEO’s first time pitching Elman. That’s obvious a minute or two into the meeting. “I want to start by thanking you for calling BS on our numbers the last time we met,” the man says. Elman fills me in later. A year or two earlier, the CEO had offered revenue estimates based on the brightest assumptions—“and then basically he doubled everything.” But apparently Elman has a soft spot for the CEO. Or at least he sees potential in his company. The CEO had been struggling to find the right business model, and Elman has been helping him find the right market for his app, even if he hasn’t been willing to invest yet. Now, several business models later, the CEO is certain the company is positioned where it needs to be. “We really appreciate all you’ve done to help us hone the business,” he says. A small smile appears briefly on his face but disappears immediately, as if someone has snapped shut the blinds. “I’m just trying to be a blank slate here,” Elman says helpfully. The VC is of average height, with the chunky build of someone for whom exercise is largely speed walking between meetings. He has thinning hair and blue eyes behind a pair of stylish metal glasses. On this day, he’s dressed in a blue T-shirt under an untucked plaid shirt, jeans, and running shoes. He’s an upbeat, if fidgety, presence in the room, with a puppy-dog spirit, all nods and smiles. He almost leans into the presentation, as if primed to be delighted by whatever an entrepreneur might utter next. Every industry has its own vocabulary. The shorthand and jargon can sound like gibberish to an outsider, but they form a code that offers entry into that world. The CEO talks of “legacy systems” hobbled by “the premobile economic model” and “organic” versus “paid” growth, which has allowed them to pick up users without much in the way of customer “acquisition costs.” All of it is encouraging news for a mobile-app maker wanting to be on the smartphones of hundreds of millions of people around the globe. Millions have already downloaded the app, and, if most aren’t yet paying customers, the CEO shares some clever ideas for getting anxious parents and others to pay monthly for the premium services they’re selling. He flashes a couple of slides showing the market share enjoyed by some of those “legacy” companies (big, established brands that are rarely tech savvy enough to offer much in the way of competition). The numbers are tantalizingly large. The actual revenues they’ve already generated are similarly impressive: multimillion-dollar payments from third parties seeking access to the audience they are aggregating, with the promise of much more. The smile is back on Elman’s face. “This is the first time in a meeting with you where I get the investment thesis,” Elman says. He does some quick math in his head and encourages the founder to be bolder in his pitch. “Play up that this is a ‘billion-dollar opportunity,’?” he suggests. The CEO doesn’t attack the answer so much as brush it aside. But here his sidekick offers a far more convincing argument that gets Elman nodding and smiling happily. The three of them talk about the company name: Do they need to change it? And, despite how much they’ve already spent establishing a brand, do they also need to change the company slogan? Elman shifts in his chair and starts fiddling with a paper clip. Another slide gets him talking about burn rate: the money a company spends on salaries and other costs each month. 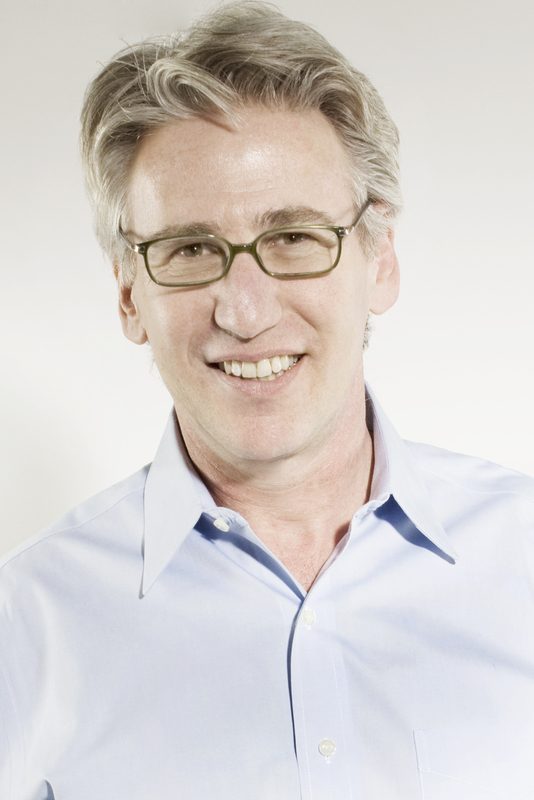 Prior to becoming a venture capitalist, Elman worked at Facebook and Twitter. He knows something about growing a tech company. Every venture deal gets reduced to what is called the “valuation”—the paper worth of a company—so that the investors can figure out their ownership stakes. For example, a start-up is valued at $20 million (the “premoney” valuation) if the venture capitalists are spending $5 million to buy a 20 percent share in the company, or one-fifth of $25 million (the “postmoney valuation”). The CEO, perhaps feeling emboldened by Elman’s encouragement, offers, “I think it should be a $750 million valuation.” One of the legacy companies whose business he’s threatening has told him it wants to invest in the next round. But he’ll still need to find venture investors if he’s going to raise the kind of money he’s seeking. Elman squirms in his seat. He pulls at his face and tugs at his clothes. It’s never easy to bring up what venture capitalists call a down round. The tech graveyard is crowded with companies that were valued at $400 million when they raised a C round (a third round of funding) but only $200 million (rather than, say, the $800 million valuation the founders had been counting on) on the D round. That dilutes the ownership rate of a company’s founders and initial investors—and also all those early employees who had been hired with the promise of owning a sliver of the company. Elman suggests the possibility of a down round, but the CEO shudders at the distasteful prospect of bursting the bubble of all his hotshot programmers who are banking on a big payoff once the company hits it big. “My engineers would mutiny if I even bring up a down round,” the CEO says, slamming shut the door on further conversation. The rest of the meeting has Elman offering several more pieces of advice. “It’s time to pull together a narrative,” he tells the two men, by which he means they need to do a better job of presenting their story. He also suggests that they play up what he calls “engagement data”: stats that show how often and for how long customers use their service. The art of being a venture capitalist means never saying no even if you rarely say yes. Greylock Partners met with several thousand entrepreneurs in 2016—and made sixteen investments that year. Yet what if the start-up that struck you as a dud in a first round—the A round—catches fire, and you and your partners want in on a B or C round? Or what about that entrepreneur’s next company? Elman offers only encouragement as we say our good-byes. Yes, the company has blown through a lot of money in search of a working business model, but it still has multiple millions in the bank. More important, he adds, “They finally have a winning story to tell.” The company has been booking significant revenues, and all the numbers point in the right direction. “They’re no longer scratching and clawing the way they were,” he says. Maybe a fortyfold increase in revenues over the next eighteen months is on the giddy side of optimistic, but what if they grow twenty times? Elman does some quick calculations in his head and imagines a time in just a few years where, based on even these more modest growth numbers, the company is generating $300 million or more in annual revenues. A big smile flashes on his face. “Then,” he says, stopping to look at me, “it becomes interesting.” Maybe he’d help them grow into a giant business. More likely, though, he says, “they sell to Facebook because Facebook will realize they need it.” If they see the opportunity to book a few hundred million dollars a year in revenue, so would a Facebook or a Google. We’ve reached our destination, which ends the conversation but also punctuates it. It’s a portfolio company in which Elman has invested millions of Greylock’s dollars. Yet in recent months, things haven’t been going as expected. “They’ve hit a plateau,” he says—a potentially fatal affliction to any venture-backed company.